On this episode of V8 Radio, Kevin Oeste and Mike Clarke discuss how to engage the next generation of car enthusiasts. There's also coverage of SEMA, the Muscle Car and Corvette Nationals, the PRI show, and an update on the construction at the V8 Speed & Resto Shop. They cover a cool 1966 GTO project in the V8 Speed & Resto Shop featuring a disc brake upgrade from OPGI and new Booster wheels from Rocket Racing and some sweet goldline tires from Diamondback Classics. Of course, a trivia question or two and just as many laughs, and you have the latest V8 Radio! 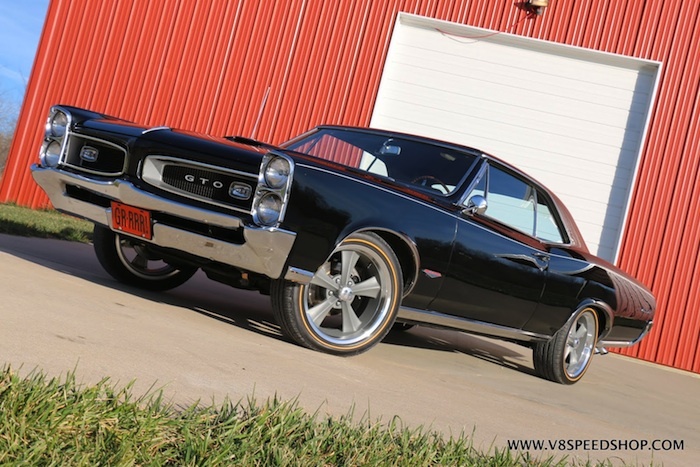 The 1966 Pontiac GTO featuring OPGI Disc Brakes, Rocket Racing Wheels and Diamondback Classic tires.